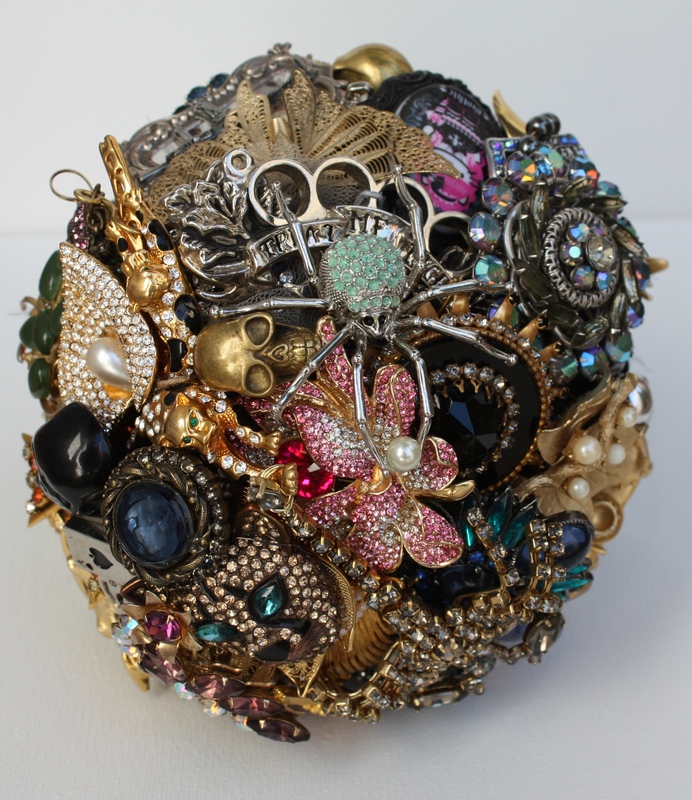 This is the latest beauty to leave the studio… I offer 3 custom Brooch Bouquet options to my brides, Yours, Mine & Ours. Let me explain… Yours, the bride provides all the pieces, With Mine, I do all the hunting. Ours, is a combination, the bride collects all she can and then I fill in the remainder. 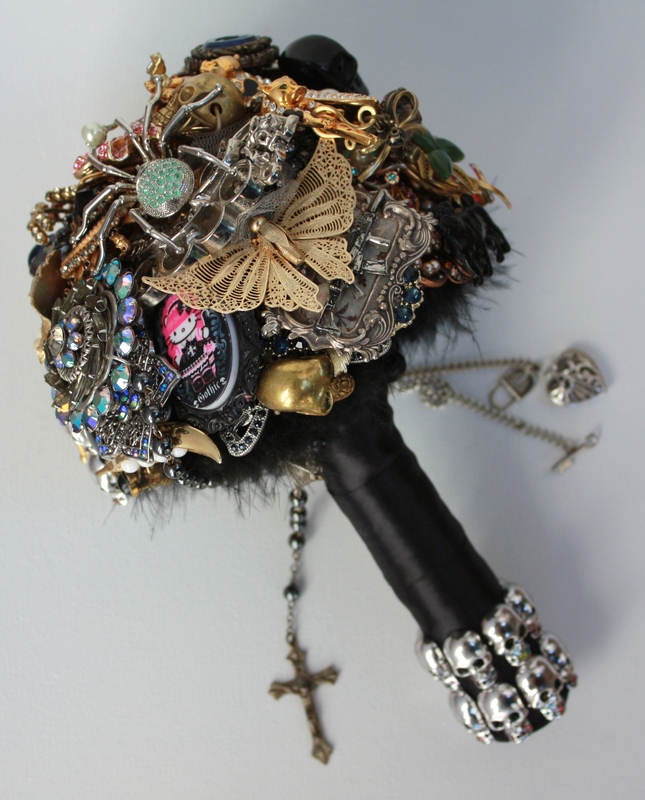 This one-of-a-kind Brooch Bouquet for The lovely bride Kellie is a great example of “Ours”. Kellie gathered about 1/2 and then according to her theme/style, I filled in the rest. What a beautiful collaboration, wouldn’t you agree? Can’t wait to see the photos! Kicking off the Brooch Bouquet season!